Art of Atari is a fantastic retrospective of the iconic company’s colorful design history. Written by Tim Lapetino, with a forward by Ernest Cline and an afterword by Robert V. Conte, Art of Atari primarily examines the artistic illustrations behind some of the company’s most famous games and consoles. Growing up in the early 80’s, one of my first experiences with home video games was at my cousin’s house. 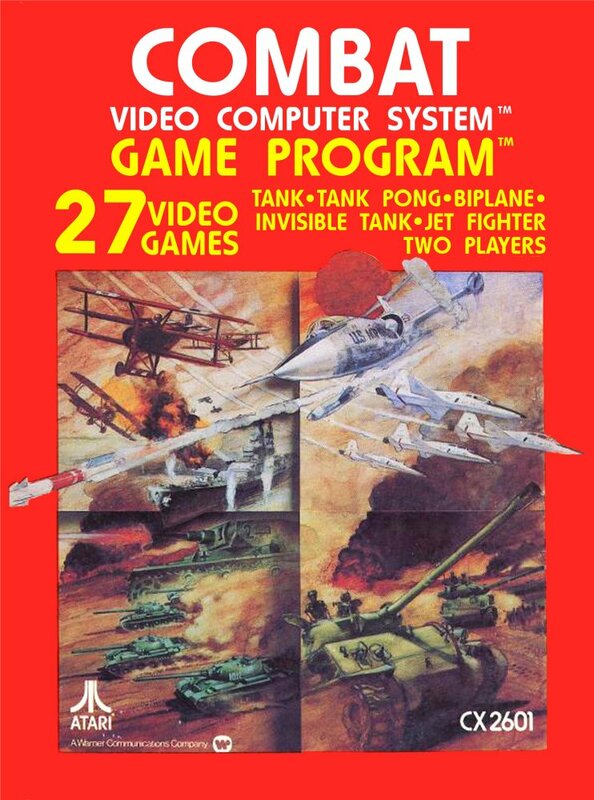 I remember playing Combat on the Atari 2600 for hours on end. Even though the graphics were crude, the label art on the cartridge box was astonishing, especially to a kid with an overactive imagination. No longer was I just seeing pixelated squares on the screen – to me those were the very same tanks and planes that I saw on the illustration. -From the forward by Ernest Cline, author of Ready Player One. Atari understood that a good illustration would really sell the game. The box art was your gateway into the game world. 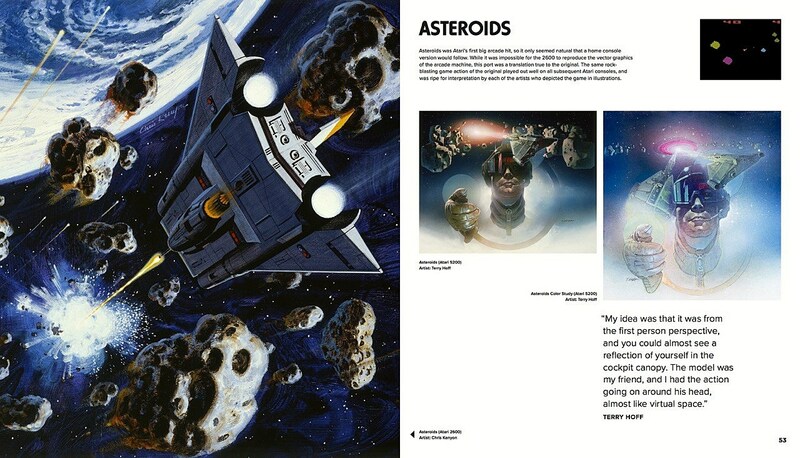 Look at the cover art of Asteroids for example – there’s a swarm of asteroids closing in on your ship. You’re desperately trying to stay alive. The art tells a story – will you survive the never ending assault? You’ll have to play the game to find out. As I was reading the book, I realized that while I was familiar with many of Atari’s illustrations, I actually had no idea who the artists were. The author presents many of Atari’s greatest artists here, such as George Opperman, Cliff Spohn, Steve Hendricks, Susan Jaekel, Warren Chang, Terry Hoff, Evelyn Seto, and more. Each artist has a chapter devoted to them, where they talk about their history with Atari and how they came up with their designs. I was surprised to learn that many of the artists did not actually play the games they did the art for. Often, a programmer would describe their game to the artist, and then the artist would come up with their own concept for what they understood the game to be. The artists were given a lot of freedom to express their ideas of what they thought the game world would be like. Many of them painted their friends and work associates into their designs.In some cases, several of the artists went out and even purchased Star Wars models and ‘kit-bashed’ them together to create new designs. I always wondered why the ship in the Defender art looked like a Star Destroyer. Now I know. Art of Atari is 350 pages of pure nostalgia for anyone who grew up playing games in the early 1980’s. It is a wonderful collection of Atari’s visual history throughout the years. I would highly recommend this book to anyone who has an interest in retro games. It is an essential part of the history of video gaming.